In exercise of the powers conferred by the Central Government Vide Notification No.S.0.189(E) dated 19th January, 2017 of the Ministry of Labour & Employment, the undersigned hereby declares that there shall be no increase in Variable Dearness Allowance for the period of 1.10.2017-31.3.2018 due to decrease in the average Consumer Price Index for the period January, 2017 to June, 2017 for the workers employed in Industrial Workers and thereby resulting in the VDA remaining the same as it was during the period of 1.4.2017 to 30.9.2017. This order shall come into force w.e.f. 01.10.2017. 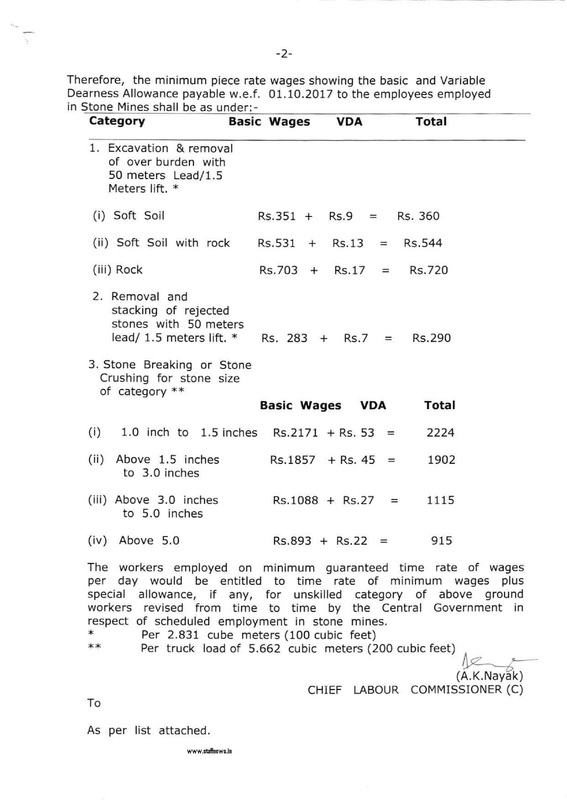 The workers employed on minimum guaranteed time rate of wages per day would be entitled to time rate of minimum wages plus special allowance, if any, for unskilled category of above ground workers revised from time to time by the Central Government in respect of scheduled employment in stone mines. To As per list attached. This order shall come into force w.e.f. 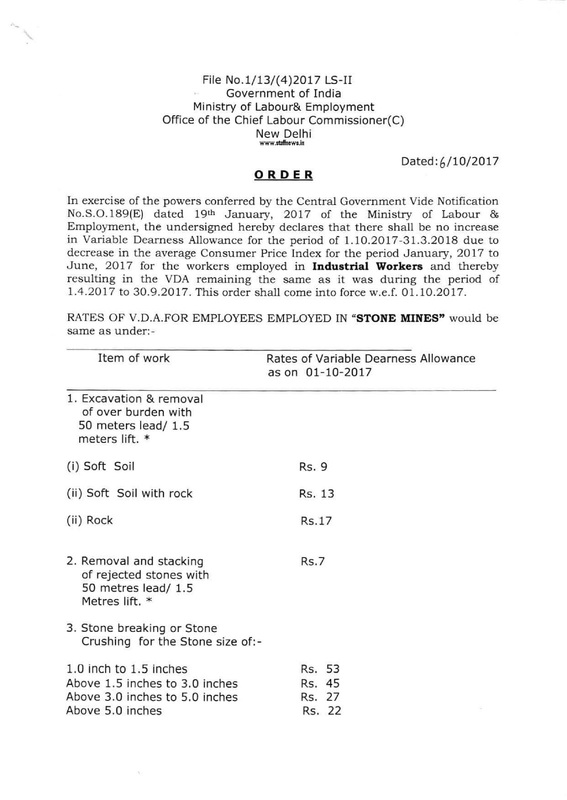 01.10.2017.RATES OF V.D.A.FOR EMPLOYEES EMPLOYED IN "STONE MINES" would be same as mentioned in Post.